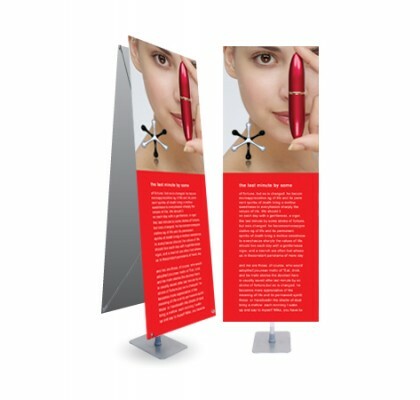 The Y banner stand is wonderfully effective and portable way to deliver a branded message at instant. Its versatility is unmatched as it can be used in single or double sided applications with adjustable width and height options. 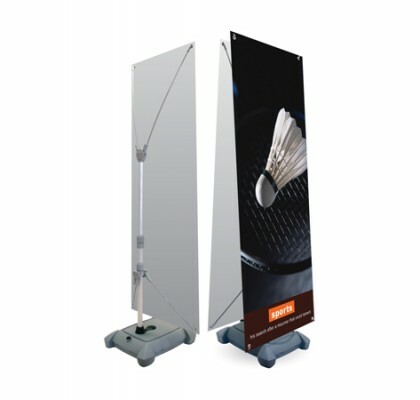 This unit is ideal for use in trade shows, lobbies, retail environments and other high traffic areas. Available for indoor and outdoor style. Supplied with carrying case. The printed banner is displayed with hooks at each corner anchoring your banner in place. The printed banner must have grommet eyelets at each corner allowing for simple print changes. Ideal for frequently changing graphics.